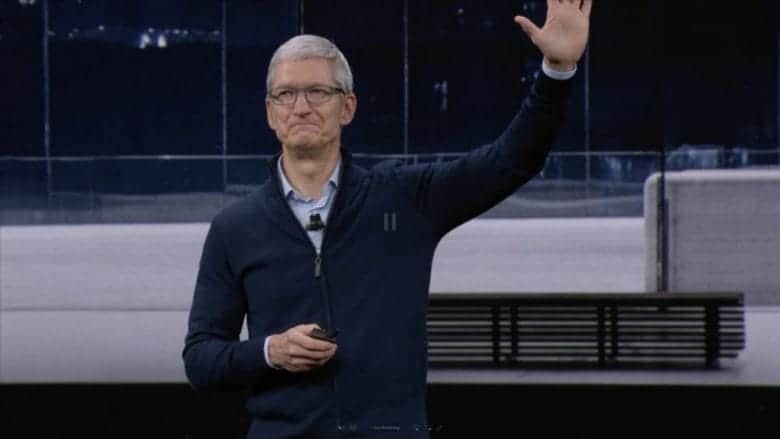 Tim Cook at the iPhone 8 keynote. Apple is offering more ways than ever for fans to tune into the 2018 iPhone keynote and apparently Twitter is in the mix too. In a tweet this morning, Apple announced that the entire keynote will be available for your viewing pleasure on Twitter. All you have to do to tune in is like Apple’s tweet below and you’ll be sent updates throughout the keynote, including a video feed of the festivities. Twitter users will also get a series of tweets and photos to complement the event’s live stream. This is the first time ever Apple has streamed an event on Twitter or any other social network. If you’re not a Twitter user, you can still live stream the keynote from your Apple TV, iPhone, iPad or Mac. Even Windows users can join in on the fun by watching through Google Chrome, Firefox or Microsoft Edge. Apple is expected to unveil three new iPhones during the keynote as well as the Apple Watch Series 4. Other new products could include iPad Pros, new AirPods, headphones and a launch date of the AirPower mat that was unveiled during last year’s event. Cult of Mac will be here live blogging all the good stuff starting at 10AM PT.